A three-level commercial building located at 82-84 Dixon Street, Haymarket, sold at a highly competitive public auction for $19.9 million. 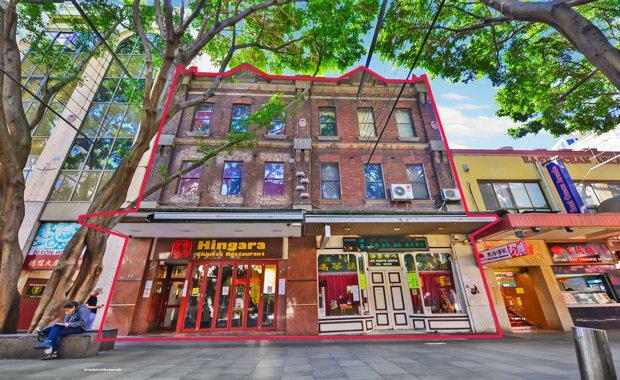 The coveted property right in the heart of Sydney’s tightly held Chinatown precinct received strong interest from investors due to its rental growth and redevelopment opportunities. Knight Frank Head of Asian Markets Dominic Ong and Director Andy Hu exclusively managed the sale of the property on behalf of a private entity. Mr Ong said the premium location of the Dixon Street property, as well as its redevelopment potential, made it a highly attractive opportunity for investors, with over a hundred people present at the auction and multiple bids. “82-84 Dixon Street has enormous potential and is significantly underdeveloped," he said. "Chinatown is a tightly-held area and opportunities like this don’t come along very often. "The last standalone property to sell on Dixon Street, Pedestrian Lane, was some 30 years ago, and this property has been with the same family for about 100 years. With 100% freehold interest, the three-level property comprises 342 square metre land size and 14 metre prime Dixon street frontage – a total of 983 square metre lettable space – in one of Sydney’s internationally-renowned tourist destinations. The ground floor provides retail spaces, while the upper levels offer either retail or residential space. Current tenants include Hingara Chinese Restaurant and Live Crafts Centre. In the immediate vicinity, the NSW Government has committed over $3.4 billion to building new infrastructure and transport hubs, including Darling Harbour Live – a new precinct in Darling Harbour, incorporating the new International Conference Centre, Darling Square – a new residential and creative city neighbourhood, Town Hall Metro Line and the new light rail. 82-84 Dixon Street is zoned in B8-Metropolitan Centre under the Sydney LEP 2012. It is not listed as an item of heritage significance.